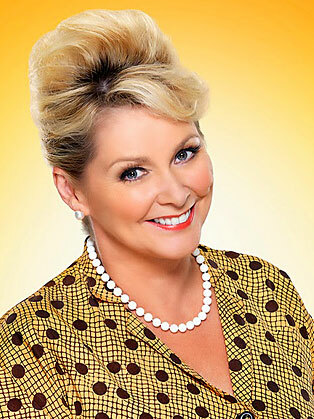 Cheryl Baker is an English television presenter and singer best known for winning Eurovision in 1981 with the band Bucks Fizz. Bucks Fizz went on to have global success with more than 20 hits including three number ones. In 1984 she was asked to present the children’s television show, How Dare You, which set the ball rolling for her as a TV presenter. She also went on to present daytime current affair shows, prime time Saturday evening shows and even dog agility programmes. Baker still performs with Bucks Fizz in theatres and major festivals and especially 80’s themed weekends. Cheryl made her theatrical debut in the musical Footloose in the West End. Since then she has starred in a range of dramas and comedies including “Dial M For Murder” and “Menopause the Musical." Aside from her television and stage work, Cheryl helps a variety of charities. Sjhe is patron of Kent Children’s University, Patron of The British Wireless for the Blind Fund and Vice-President of Abigail’s Footsteps, a charity for bereaved parents of stillborn babies. She also ran the Virgin London Marathon raising money for charities.